Brendan Ogg’s life was turned upside down when, in his sophomore at The University of Michigan, he was diagnosed with an aggressive form of brain cancer. Deciding to “leave curing the cancer to the doctors” Brendan focused on what he could change, his mind and “spirit.” Before he passed he created a book of poetry, titled The Summer Absurd, leaving many poems behind for those facing a crisis of their own. The pieces not only inspire those fighting cancer today, but helped Brendan refine himself in the months before his death. Art can have a profound impact on a person facing a cancer diagnosis. During the tremulous weeks, and months, of treatment the arts act as a form of self expression and discovery. Inward reflection at the center of a true artistic practice are often described as meditative. Statistically, improved medical outcomes, reductions in stress and anxiety and improved social identity are just a few ways art therapies have impacted young adults with cancer. 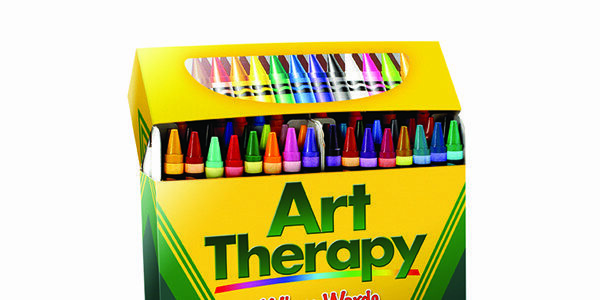 What types of art therapy have you engaged in to help with a cancer diagnosis? Did you find them effective? Let us know! Reach out to either our Facebook or Twitter pages or send us an email at sean@ulmanfoundation.org. Read more about the gift of art and healing and how the Smith Center for Healing and the Arts helped Brendan to express himself as a gifted writer. And read more about Brendan Ogg’s story and poetry.